Birds with larger bills spend more time hiding their noses from the cold. You know what they say about the birds and their beaks—the bigger they are, the harder they snuggle. Research published Thursday in Functional Ecology found that birds with larger beaks spend more time (adorably) tucking those honkers under their wings to keep warm. Although scientists had supposed birds were tucking their beaks to stay warm, just as we humans cover our noses with scarves in the winter time, this study is the first to actually test the hypothesis on birds in the wild. Ecologists from Deakin University in Australia monitored 9 species of shorebird for six months—from winter to summer—to see how temperature and beak size influenced the beak-tucking behavior. "We found that they were indeed using [beak-tucking] to try to keep warm, because they do it more when it gets colder," said co-author Matt Symonds in a press release. "But the surprising thing we discovered was that the birds with bigger bills used this behavior more, and over noticeably longer periods." Previously, Symond's team found that a bird's beak acts like a heat leak, helping the animal keep cool. That's all well and good in hot climates, but in colder regions, heat loss through an unfeathered bill could be a liability. A bigger beak means more heat loss, which could explain why bigger-billed birds spend more time tucking their schnozzes under their feathered forelimbs. Intriguingly, red-necked avocets—the species with the longest beak in the bunch—had a more complicated relationship between temperature and beak-tucking. The size of the flock partially predicted whether these birds tucked their bills. That may be because there's safety in numbers—having more birds in your flock means more eyes to watch your back when your head is covered. The findings add nuance to the traditional idea that beak size is determined by what a bird eats. In reality, beak size may be a compromise between many factors. For example, a larger beak may help a species capture or crack into certain foods, but it could also put the bird at greater risk of death by hypothermia. It can tuck its bill to keep warm, but that means less time spent foraging and makes it harder to be vigilant against predators. There was one more surprise in the study's findings: the larger-billed species continued to use the tucking behavior even at very hot temperatures. 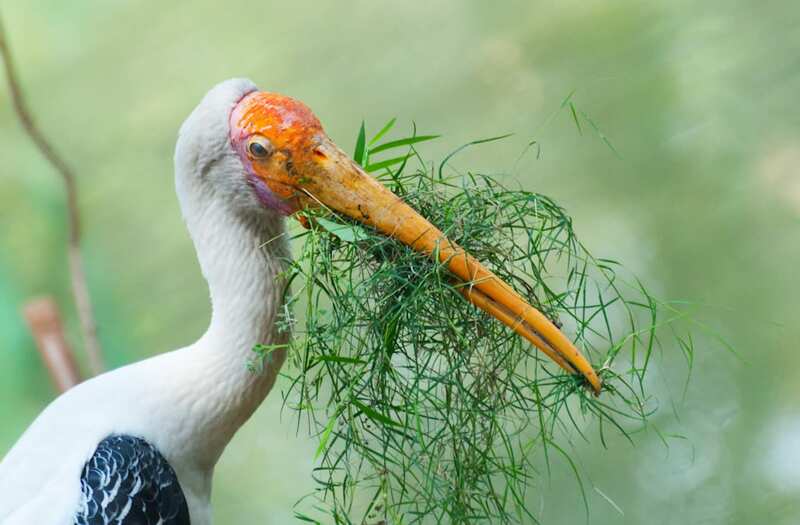 That may be because beaks have a lot of capillaries, and the blood inside can easily shed heat into a cold environment or pick up heat in hot weather. Tucking the beak may help to prevent the birds from overheating in the summer, but Symonds and his team plan to look into it further. Symonds told Popular Science he also hopes to explore how common the beak-tucking behavior is across all bird species. "Is it something that all birds do? And if not, then what determines why some species use the behavior and why others don't?" What do we know about dinosaur eggs?